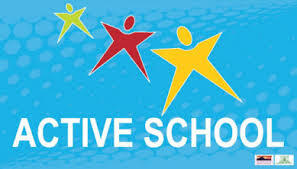 Whole School Evaluation - Scoil Ursula N.S. Part of the WSE procedures involved pupils and parents of selected classes completing questionnaires about their experiences of the school. We are very grateful to all those pupils & parents for their co-operation and support of the school in this process. The compiled data from the completed surveys can be viewed or downloaded below. The well-informed and committed board of management provides very good governance to the school. The principal very effectively leads a dedicated and very professional team of teachers. He promotes a culture of collaboration and commitment to the development of the school. A sense of community and inclusiveness, a welcoming school atmosphere and positive interactions between staff, pupils and parents characterise the school. The pupils are very well behaved and are commended for their interest, enthusiasm and engagement with all learning activities. The overall quality of teaching, learning and pupil achievement in the school is good and some excellent examples were evident. The parents’ association is very active and very supportive through engagement with a range of activities on behalf of the school. The school’s engagement with school self-evaluation (SSE) and the school improvement process is very effective. You can read the report in full by either downloading it from the following link or you can read the embedded version by scrolling further down this page.